In a pan, add ¼ cup of coconut oil and splutter mustard seeds. Add urad dal, dried red chilies and curry leaves. To this add onion, green chilies, ginger and garlic and sauté well. 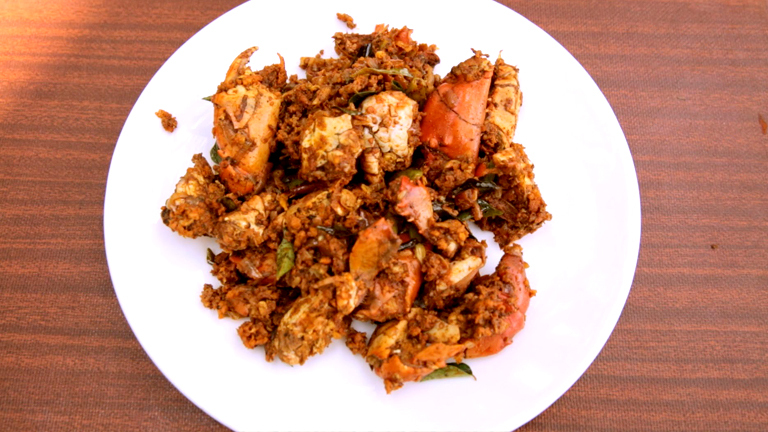 Add crab and cook it with salt, dry curry powders (chili, turmeric, crushed pepper, curry masala) and required amount of water. Let the water reduce completely. Coarsely grind coconut, cumin seeds, curry leaves. Add the ground mixture to the crab and mix well. Tasty thoran is ready.